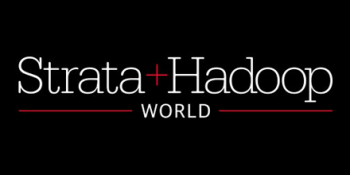 Strata + Hadoop World kicks off in NYC from September 26-29, 2016 and will feature sessions and tutorials on the future of data. Naturally, Confluent will be there with speaking sessions, tutorials, happy hours, book signings and office hours. We’ll have some exciting new capabilities to share so make sure to check-in with us! Stop by Confluent Booth #758 to connect with our Confluent Platform and Apache Kafka experts. We’ll be chatting about the future of streaming data and answering any and all questions. Ian Wrigley demonstrates how to leverage the capabilities of Apache Kafka to collect, manage, and process stream data for both big data projects and general-purpose enterprise data integration—no prior knowledge of Kafka required. 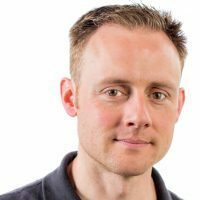 Ian covers system architecture and use cases and walks attendees through hands-on exercises where you’ll publish data to, and subscribe to data from, Kafka and investigate Kafka’s Java and REST APIs. Ian also explores other elements of the broader Kafka ecosystem, such as The Connect API and the streams API in Kafka. This tutorial is ideal for application developers, ETL (extract, transform, load) developers, or data scientists who need to interact with Kafka clusters as a source of, or destination for, stream data. Neha Narkhede explains how Apache Kafka serves as a foundation to streaming data applications that consume and process real-time data streams and introduces the Connect API in Kafka, a system for capturing continuous data streams, and The Streams API in Kafka, a lightweight stream processing library. Neha also describes the lessons companies like LinkedIn learned building massive streaming data architectures. Ask questions and learn more about Apache Kafka and Confluent Platform use cases. 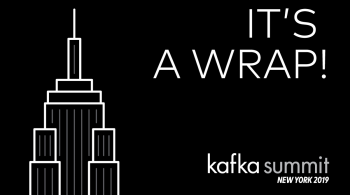 Get a copy of Kafka: The Definitive Guide (Early Release) signed by Neha Narkhede. Join Confluent executives, customers, partners and fellow stream data lovers as we take over Casa Nonna and relax after a full day of conference sessions. 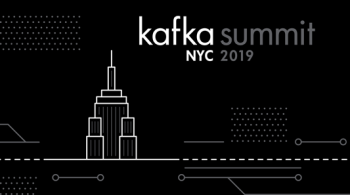 Ewen Cheslack-Postava explores resilient multi-data-center architecture with Apache Kafka, sharing best practices for data replication and mirroring as well as disaster scenarios and failure handling. Ewen covers four scenarios—replication and failover for disaster recovery, data produced in one location but consumed in another, aggregate cluster for data analysis, and bidirection replication—discussing the requirements for each, providing a proven architecture, and explaining the benefits and limitations of the solution. With Apache Kafka 0.9, the community has introduced a number of features to make data streams secure. Jun Rao explains the motivation for making these changes and the threats that Kafka Security mitigates, discusses the design of Kafka security, and demonstrates how to secure a Kafka cluster. 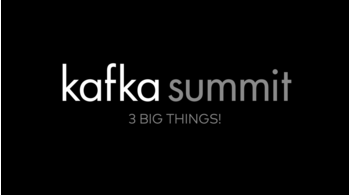 Jun also covers common pitfalls in securing Kafka and talks about ongoing security work. For more information on Confluent at Strata + Hadoop World NYC, check out the details. Feel free to reach out to us if you’re interested in connecting at the event. We’re looking forward to seeing you there!